Safety Packages and Programs--Delaney Insurance Agency, Inc. If you are one of Delaney Insurance Clients, we invest in YOU! 1. We structure Your Program at little to no cost to you. We can train your employees at your location. Our Trainers are flexible and can adapt training to meet the learning level of your staff. We can train your employees at our location. Come in, sit down and attain the training/certification you need in a personal environment. What requirements need to be met? Our team will work with you to identify and develop any written program you may need or is required. 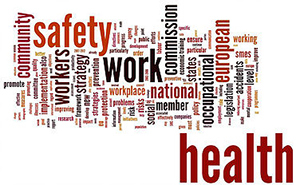 Our professionally certified team has helped organizations in every industry deal in compliance with CAL-OSHA, OSHA, DOT, to implementing effective systems for managing health and safety towards reducing injuries or Workers Compensation rates.